The Vdara Hotel Las Vegas is what many people seek in a larger boutique hotel which has a chic atmosphere, an intimate feeling, full of art and sophisticated. 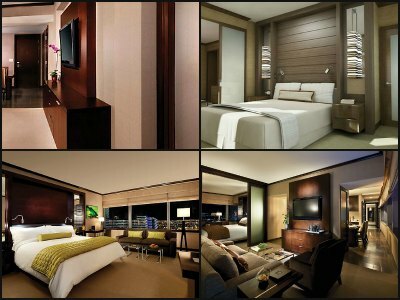 This stunning all-suite and condo style hotel is located within the Aria Resort at the CityCenter. The Vdara Hotel Las Vegas is perfect for that secluded feeling while being right on the Strip and moments away from all the attractions. The décor of the hotel is quite modern with artwork that accents the sleek wall lines. The floorplans of the various 1,400 plus suites are comfortable with a full kitchen included in each unit. This property does not have a casino and is completely non-smoking allowing for most guests to relax in an uninhibited atmosphere that is quiet. There is a lush pool area with a large deck that is exclusive to Vdara guests. The Lounge Vdara is a peaceful pool club that offers great food and beverage options. Don’t expect to enter a standard looking spa at the Vdara. The ESPA specializes in 100% natural oils and remedies for the tired body. One of the best things about the Vdara Hotel is the art work on exhibit throughout the property that ranges from paintings to sculptures to architecture to fountains. The Vdara Hotel Las Vegas and Spa is a luxury all-suite and condo style property that features a wide variety of accommodations for your vacation. The beauty of the Vdara Hotel Las Vegas is all about the intimate luxuries and special amenities you will enjoy while staying at this complex. The décor is lavish and sleek with each suite offering a nice view of something intriguing. There are ten different suites that range in size from 582 square feet to 1,700 square feet and each unit features a full size kitchen. The smallest is the Deluxe Suite and is similar to a studio condo with a full kitchen. There is a large open area that contains a bed as well as a living area with an entertainment center. The bathroom offers a soaking tub and separate walk-in shower. The Vdara Suite is 800 square feet with a separate bedroom that has a large master bathroom that includes a dual sink vanity, whirlpool tub and oversized shower. The living room area has an entertainment center and ample seating. Connected in this area are also the kitchen and dining room as well as a half bathroom. The City Corner Suite is similar in size as the Vdara Hotel Las Vegas, has a view of the CityCenter and boasts a much different floorplan with a defined separation between the kitchen and living room as well as a wardrobe closet within the master bathroom. The Executive Corner Suite is an L-shaped floorplan with an open feeling. The living room, dining room and the kitchen are within an open area that includes a half bathroom as well as an additional countertop for dining or entertaining. The master bedroom is separated and the master bathroom contains a whirlpool tub, an oversized shower, and a dual sink vanity. 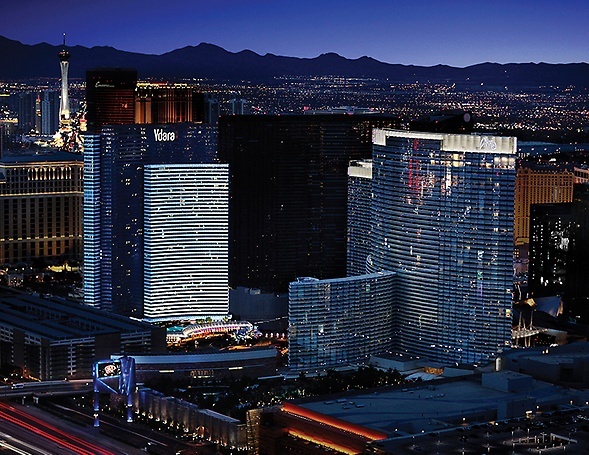 The Panoramic Suite offers a 270 degree view of the surrounding lights of Sin City. These suites are 800 square feet with a separate kitchen and dining area from the living room. The master bedroom has a sitting area and the master bathroom has a wardrobe closet, dual sink vanity, oversized shower as well as an interesting corner soaking tub. Located between the 42nd and 48th floors the Hospitality Suites have two bedrooms and are available in three different floorplans with all the gorgeous furnishings as the other suites. The Penthouse Suites and the Loft Suites offer one of the most exclusive feelings of luxury. Each of these suites offer upgraded amenities like day passes to the ESPA, limousine service to and from the airport, and your own personal concierge. Located on the upper floors (56-58) the one bedroom Penthouse Suite is around 900 square feet with an open floorplan and an additional half bathroom. The master bedroom has a wardrobe closet and the master bathroom is ample in size with a soaking tub as well as an oversized shower. The two bedroom Penthouse Suite is around 1,300 square feet and boasts two master bathrooms. The open living room contains the kitchen and dining room with floor to ceiling windows everywhere. The 900 square foot one bedroom Loft Suite has two distinct levels with an open floor plan below the second story bed room and master bathroom. The open space on the first floor contains big views with an area that connects the living, kitchen and dining rooms as well as an additional half bathroom. The master bedroom above looks down over living space with a large connected master bathroom that contains a wardrobe closet, large soaking tub, dual sink vanity and a walk-in shower. The 1,400 plus two bedroom Loft Suite offers the second bed room with connected bathroom on the main level in addition to an open living room that has a kitchen, dining room and an additional half bathroom. The master bed room on the second level has a sitting area, a wardrobe closet and a nice master bathroom with a corner soaking tub, dual sink vanity and dual walk-in shower. There are not many choices for food and drink at the Vdara Hotel Las Vegas and Spa. 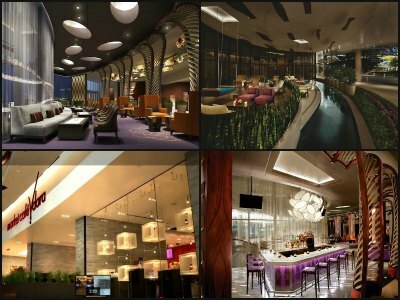 This should not discourage you because the cuisine located at CityCenter and the Aria Resort will satisfy everyone’s appetite. One dining option at Vdara is a small 24-hour restaurant called the Market Café which offers breakfast, lunch and dinner as well as several tasty egg benedict dishes. The Vice Versa Patio and Lounge has an inside and outside section with varying menus that feature tasty appetizers and signature cocktails. A person can also indulge while at the pool at Lounge Vdara which serves some of the most eclectic poolside cuisine in Sin City. There is also a small grocery store located on the property that aids in being creative in your own suite’s kitchen. The Vdara Hotel Las Vegas has a pool area that may not be as big as most resorts but certainly boasts all of the amenities and more. The ample sized pool deck is exclusive to guests of the Vdara and is located on the rooftop of the grand entry. A superb view will entice you into renting a day bed or cabana that includes a semi-private plunge pool and superior VIP amenities. The Lounge Vdara is an excellent poolside bar and small grille that offers up signature cocktails as well as traditional pool food. People who are choosing the Vdara Hotel Las Vegas for that special wedding day are looking for an intimate area that is totally chic in décor. 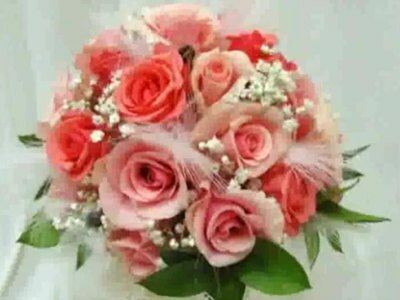 Bride and grooms have a personal wedding planner to help them walk through all of the important steps of planning for the big day. Vdara can create a unique intimate experience for up to 300 guests. Various packages and locations are available including poolside, in the grand reception room or a smaller room of your choice. The Vdara also can arrange for you to have your perfect ceremony at one of the many locations that the Aria Resort offers as well. 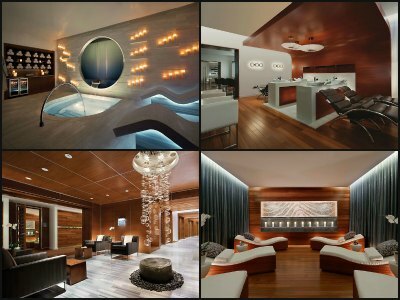 The ESPA at Vdara Hotel Las Vegas is an 18,000 square foot area of heaven within the hotel property. The spa has a tranquil décor with waterfalls and small fountains accented by a contemporary urban look. This spa is quite unique in its holistic approach to treatments as well as the products they use. All of the oils used are made in house with finest organic ingredients available. There are also special features such as a hot plunge pool, a wet spa complete with a sauna and an interesting eucalyptus steam room. Treatments can be mixed and matched or you can purchase a package or you can choose from their daily specials.